In California, getting your driver’s license back after a DUI conviction takes a bit of time and effort. The best strategy is avoiding DUI entirely. If you must drive, don’t drink, and if you drink, don’t drive; designate another driver, call a taxi, or find another way. If you do find yourself charged with DUI in southern California, don’t panic. 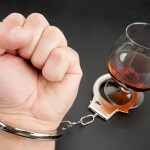 Get skilled legal help by calling an experienced Orange County DUI defense attorney as quickly as possible. 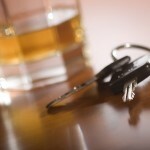 In some DUI cases, however, the evidence is overwhelming and there’s no way a conviction can be avoided. If you’re convicted of DUI in California, your license will be revoked or suspended for at least several months. To get your license back at the end of that period, you’ll have to go personally to the Department of Motor Vehicles; complete some paperwork; and pay some fees. The procedure is the same whether your license was suspended or revoked. Before you can receive a new driver’s license, however, you have to satisfy all the conditions and terms of your driver’s license revocation or suspension. You’ll have to complete any court-mandated classes or counseling, and you may be ordered to install an ignition interlock device on your vehicle. You’ll also need to produce proof of automobile insurance to the DMV. Call or visit your insurer to obtain a document that proves you have coverage, and don’t forget to bring it with you. You’ll also need to apply for reinstatement of your license by completing Form 44 and paying the $150 reinstatement fee. If you’re under 21 and your license was suspended because you failed a sobriety test, the fee is $100. It’s easy to see that keeping your driver’s license is far preferable to losing it and trying to get it back. If you’re charged with DUI in southern California, get the legal help you need and consult with an experienced Orange County DUI defense attorney immediately.